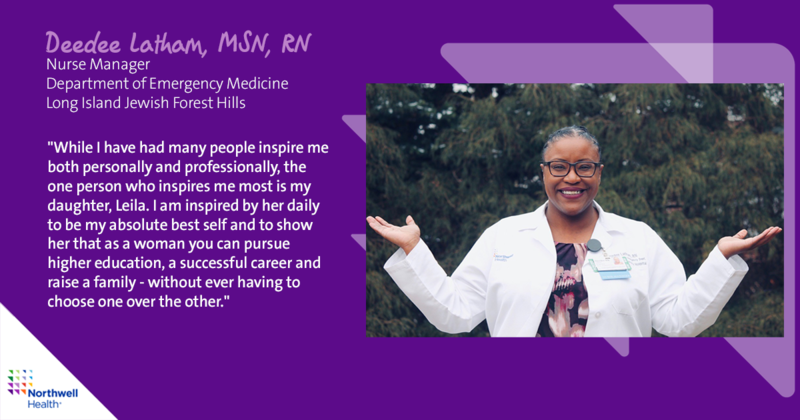 We know that, as a healthcare provider, our diversity is the backbone of our ability to better serve the equally diverse communities that we touch. 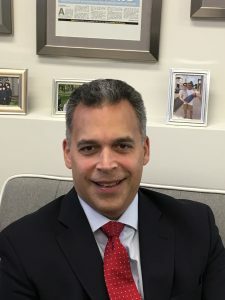 “I’ve always believed that the power of the health system doesn’t lie in Northwell Health being the largest healthcare provider or private employer in our state but from a much deeper place,” says Regional Director, Community Relations Matthew DePace. 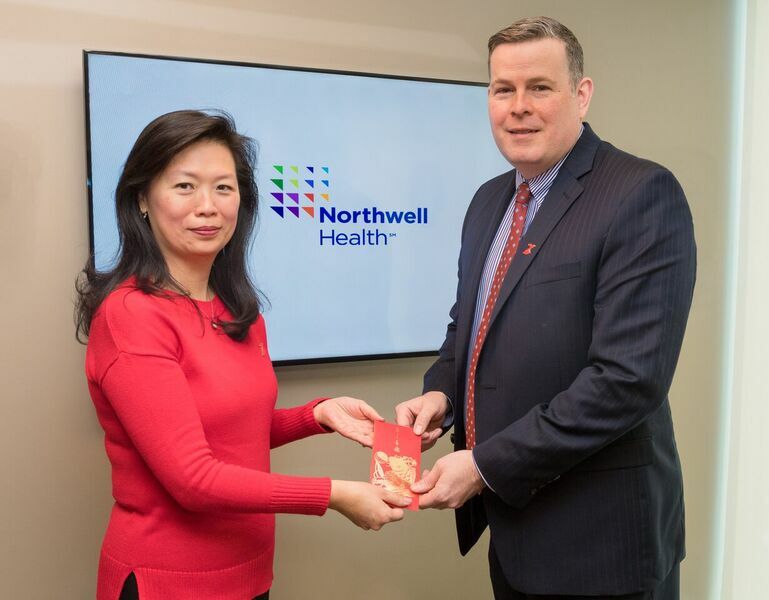 At Northwell Health, we draw our strength from the deep diversity of our workforce throughout our levels of operation. This variety of perspectives and points of view allow us to solve the problems of our employees, our patients’ and their communities. Learn more about our diversity efforts here. 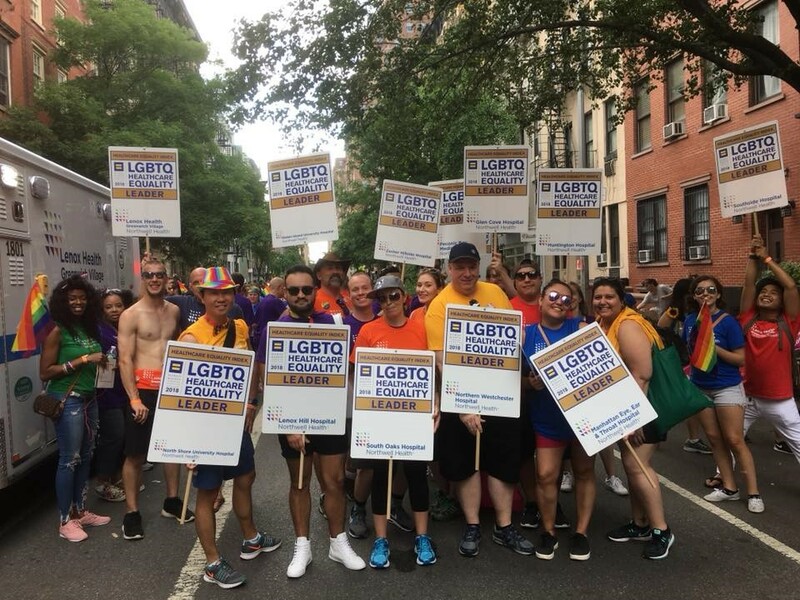 As a leader in healthcare, Northwell is committed to cultivating and fostering diversity so that we may better serve our communities and patients. Our Workforce Readiness team helps provide a supportive, caring and inclusive environment for our employees all year long. 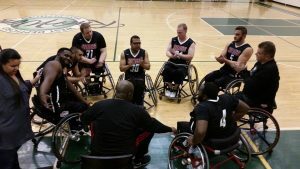 In 2017, they developed the Path to Inclusion program to help people with disabilities take advantage of our opportunities and achieve success in their careers. 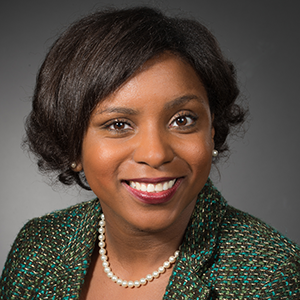 The program launched to great success and has recently been announced as a winner of a Diversity Excellence Award from the National Association of Colleges and Employers (NACE)! 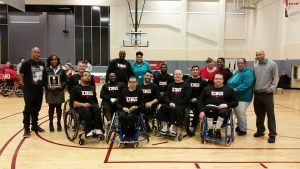 Lesly St. Louis is proud to be a part of this award winning Path to Inclusion program. 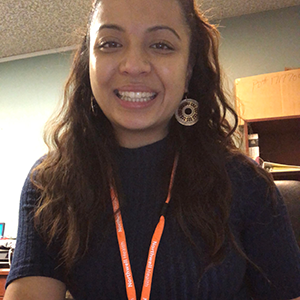 As an Inclusion Specialist at Northwell Health, Lesly works as a liaison with candidates to help facilitate employment for individuals with disabilities. 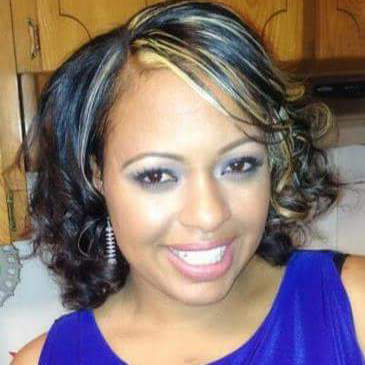 As part of this mission, Lesly develops important partnerships for outreach and manages the Path to Inclusion seminars. These seminars help candidates with resume writing, interview tips, networking, the hiring process and more. 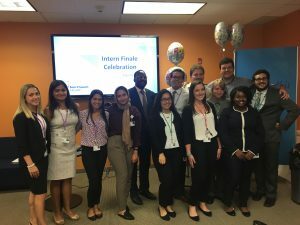 Our 2018 Intern Finale Celebration included some of our Bridges to Adelphi graduates! 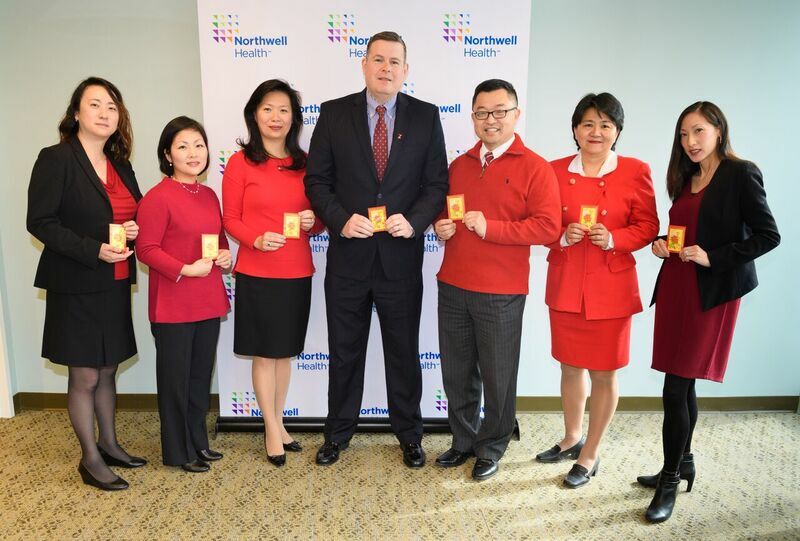 Another important part of Northwell’s Path to Inclusion program is our Bridges to Adelphi. 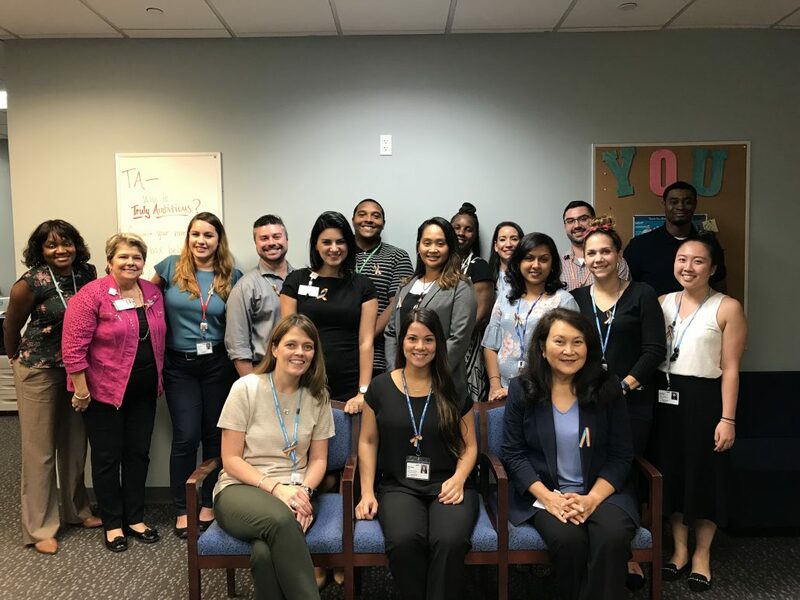 Northwell partnered with Adelphi University to develop this model student internship for college students who are on the Autism Spectrum or have communication or social adjustment challenges. 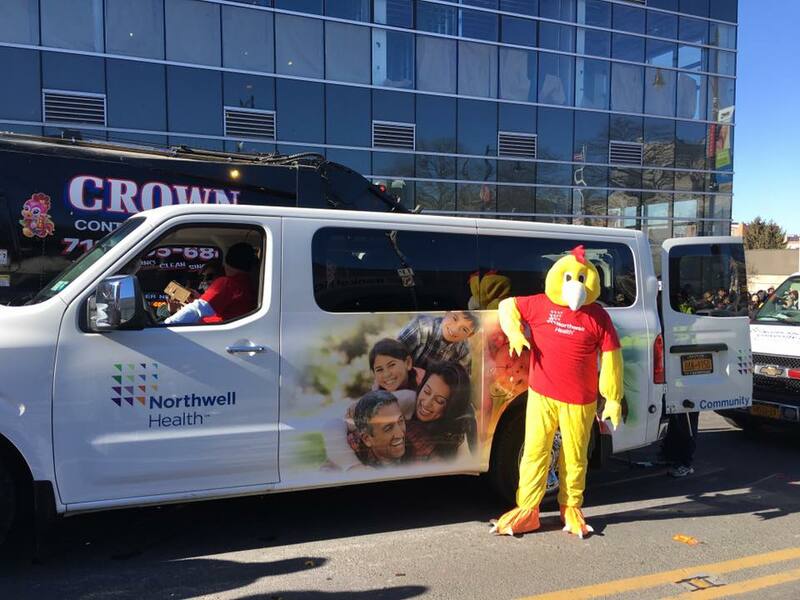 This nationally recognized program allows for students to gain invaluable work experience in meaningful job positions, helping them build skill sets for successful careers upon graduation – and careers with Northwell! The 2018 summer program boasted 6 interns with 5 students moving into full-time positions. 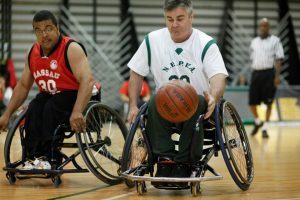 Northwell’s N-Able Business Employee Resource Group (BERG) is another asset Path to Inclusion’s efforts. 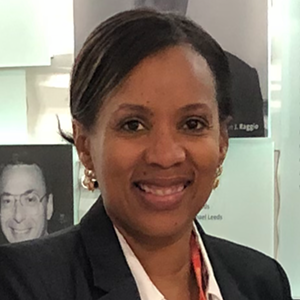 The Workforce Readiness team co-chairs this BERG with Zucker Hillside, aiming to further expand our inclusive hiring efforts with resources and awareness. Rolling out system-wide in September, N-Able will host celebrations, events, and workshops as well as aid provide an information database. 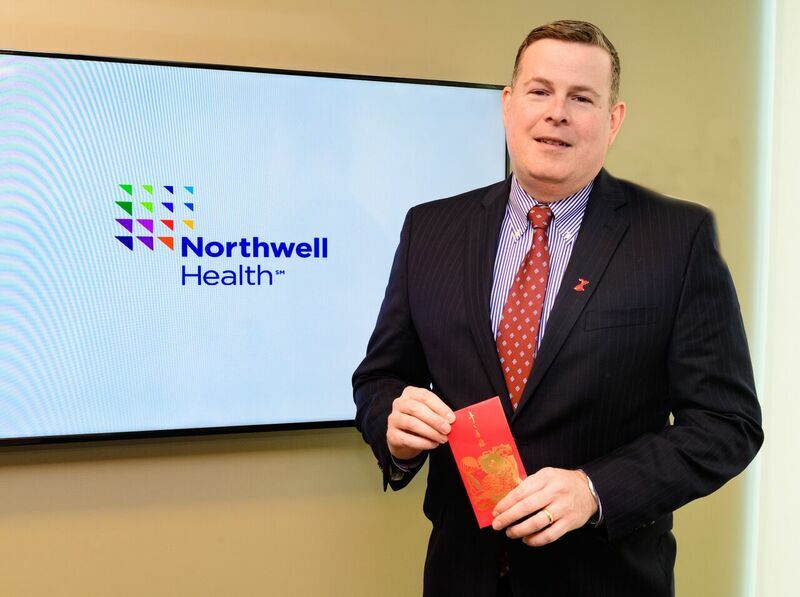 This database will allow for all employees to easily see what inclusive resources Northwell offers. 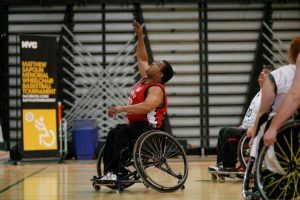 And the Path to Inclusion program goes beyond just these key initiatives! 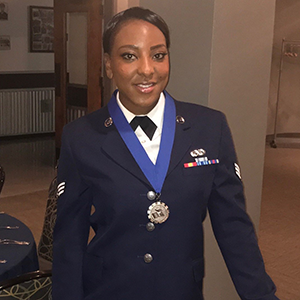 Between speaking at national events and continually engaging and educating employees, the Workforce Readiness team is developing and strengthening our diverse and inclusive team. 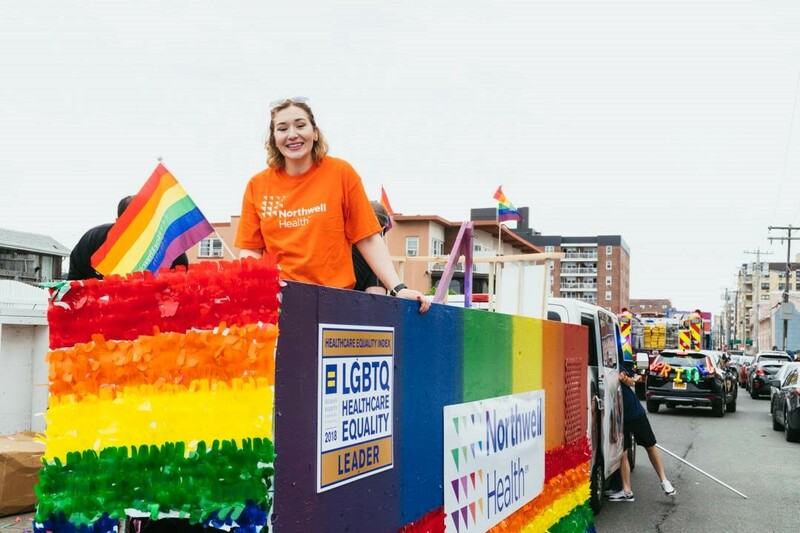 “I am so proud to work for an organization that takes action to ensure all of its employees feel included and important,” says Cheryl. 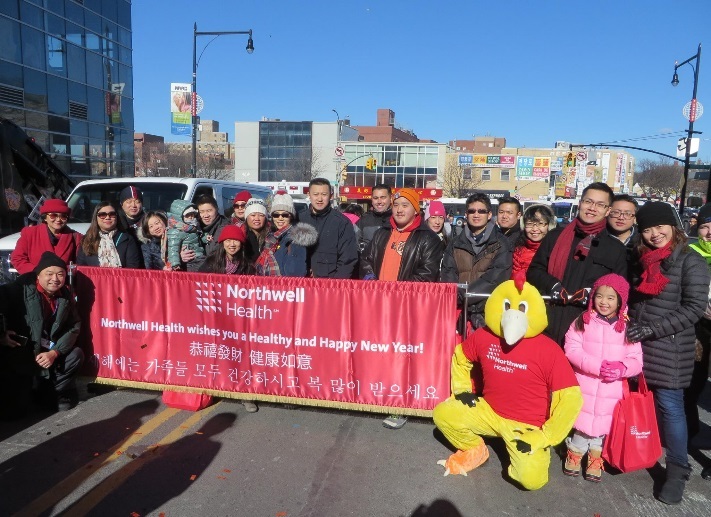 Northwell is proud to be Truly Ourselves and will continue to stand united, proud and respectful in celebrating our differences. Congratulations again to the Workforce Readiness team! What makes a great leader? To some, tenacity. To others, grit. To others, a vision. 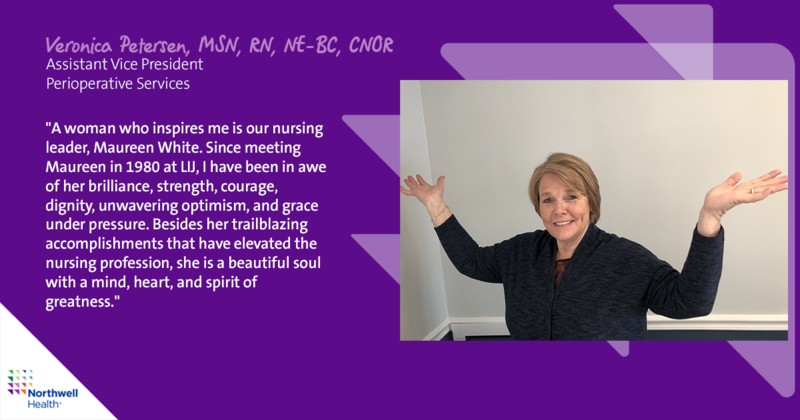 At Northwell Health, we believe that what makes a great leader isn’t necessarily one specific trait, it’s the culmination of all of these ideals with time, experience and determination. Which is why our recent panel highlighting some of our most ambitious female leaders, was so uniquely inspiring. It takes an exceptional level of leadership to redefine health care while creating tomorrow’s health system. 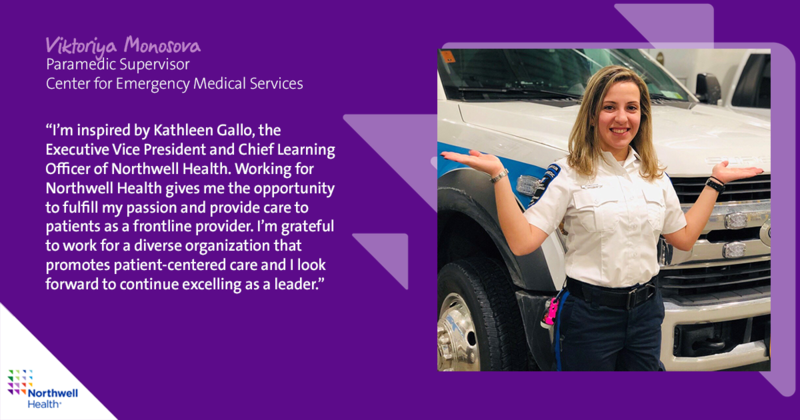 Despite adversity throughout their careers, these women have created real change in our health system, inspiring their peers and motivating their department teams to do the same. Panelists discussed their career progressions, the challenges they’ve faced and the inspiring women who helped them along the way. We’re proud to call these Truly Ambitious women part of the Northwell Health Family. If you’re looking to make the most of your passion, vision and ambition, we have opportunities that offer the autonomy and support you need to reach your true potential. Watch the full diversity lunch and learn below and learn more here. Guyana, a small third-world country in South America is made up of six main ethnic groups – Amerindian, Chinese, East Indian, African, Portuguese and Europeans. This is primarily due to the British-era colonialization of land and the use of laborers from different parts of the world to work on the sugar plantations. For a small country, Guyana is very diverse. Learning about culture, values and traditions of our people had been a great passion of mine growing up. It gives me great pleasure as a member of the BRIDGES Asian BERG and the Ambulatory Services Diversity and Health Equity Committee to share with everyone, the culture and traditions of one of the main religions in Guyana – Hinduism through its largest and festive holiday celebration of Diwali. Diwali is a celebration enjoyed not only by Hindus but also Sikhs, Jains and Buddhists. The significance of Diwali is different for each religion. For Hindus, Diwali is as important as the Christmas holiday is to Christians. Diwali is derived from the root word Deepavali which means “row of lights”. The festival is celebrated worldwide in October/November depending on the cycle of the moon (new moon). The common theme of the significance of Diwali is the triumph of good over evil or the destruction of all negative qualities – violence, anger, fear, jealousy, greed, etc, to embrace more positive ones. Diwali celebrates the inner light that protects us from spiritual darkness. In Guyana, India and around the world, Diwali is celebrated by lighting clay lamps or diyas to signify light over darkness or good over evil. Hindus celebrate the return of the Hindu God Rama to his kingdom after 14 years in exile. They light diyas as a sign of welcome and tribute to Rama. Additionally, during Diwali, Lakshmi, the Goddess of Wealth is believed to enter one’s homes to give them good fortune and prosperity for the year. The celebration of Diwali is always a festive one. Growing up, we had to always spring clean our home because if we didn’t, it is believed that the Goddess Lakshmi will not enter our home and bring good fortune. We bought new clothes to wear, lit hundreds of diyas and made lots of sweet and savory snacks. The best part of Diwali for me was visiting friends and family and sharing the holiday with them regardless of their religion. It always gave me this sense of warmth and togetherness to be with everyone – family and friends that did celebrate Diwali and the ones that didn’t. Today, Diwali celebrations at our home in the United States are the same like they were in Guyana. And my favorite part – we still invite our non-Hindu neighbors, friends and family to participate in the festivities and educate everyone about the significance of Diwali. This year, I gave each of my team members a diya to light in their homes for good fortune and prosperity and brought in an assortment of sweets for them to savor! May the light of the diya bring you and your family happiness, joy, good fortune, prosperity and success always! Happy Diwali to all! 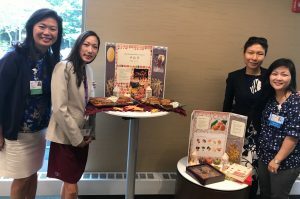 As a part of the BRIDGES Asian Business Employee Resource Group (BERG) it’s a passion of mine to share the tradition, spiritual and ethical values of the Asian culture across the health system’s facilities and network. The BERGs are made up of employees passionate about embracing relationships with diverse communities served by Northwell Health, and the BRIDGES Business Employee Resource Group is focused on fostering shared understanding of cultural, spiritual and ethical values in the context of healthcare delivery among employees and communities. 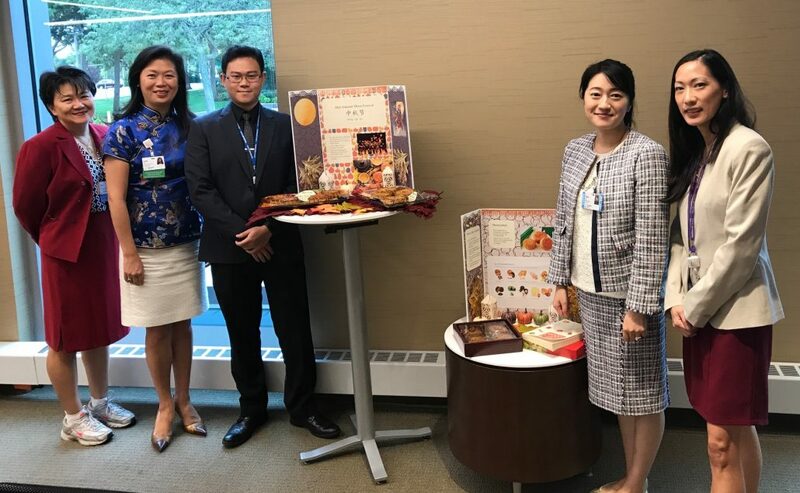 On October 4th, I had the privilege to be part of a Diversity and Health Equity Committee meeting and for the first time, introduced one of my most treasured holidays – Mid-Autumn Festival, to Northwell Health’s executive senior leadership. 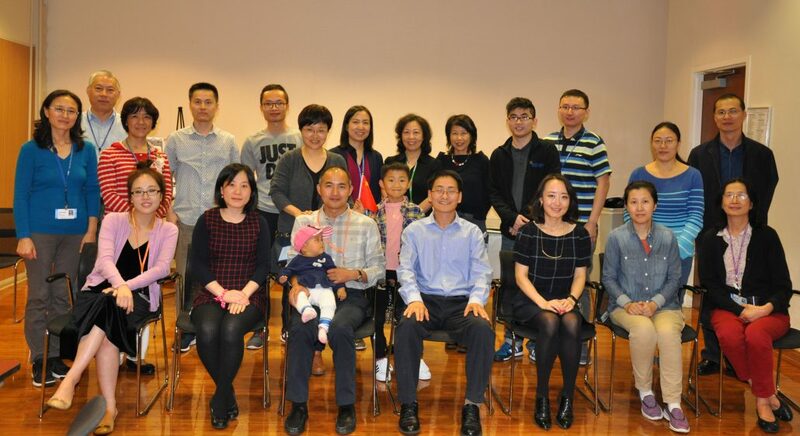 The festival was also celebrated at the Feinstein Institute for Medical Research by the Chinese Association at the Feinstein Institute (CAFI) which was organized by Dan Li, President of CAFI and a Post-Doctoral Fellow in the Laboratory of Autoimmune and Cancer Research at the Feinstein Institute for Medical Research. 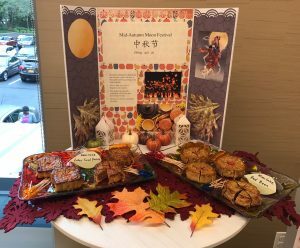 Celebrated throughout different Asian regions, this festival has a history of over 3,000 years and commemorates the end of the autumn harvest. 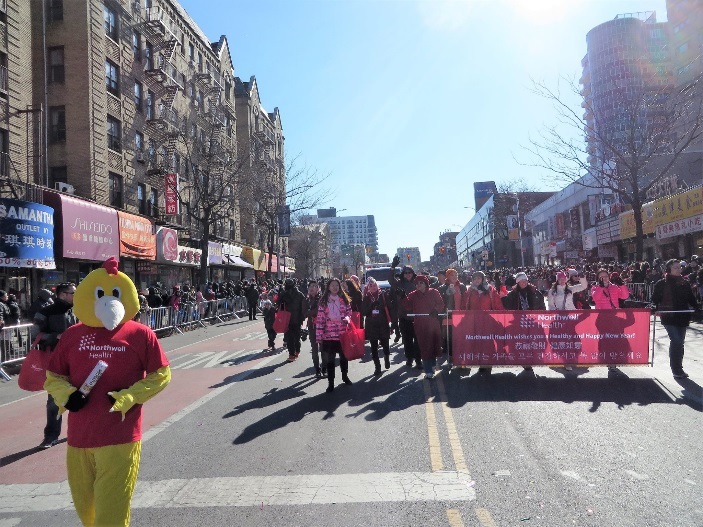 It is the second most important festival after the Lunar New Year, where people celebrate through family reunions, akin to Thanksgiving in the United States. In China, Mid-Autumn Festival was also a time for moon-worship and moon cakes are the must-eat food item during ancient times because the round shape symbolizes reunion and happiness. After worshipping the full moon, family members would savor the cakes together. And while moon-worshiping is no longer a practices ritual, moon cakes are still a traditional pastry to be enjoyed during the festival. The Americans have turkey, but we have delicious cakes with sweet fillings. 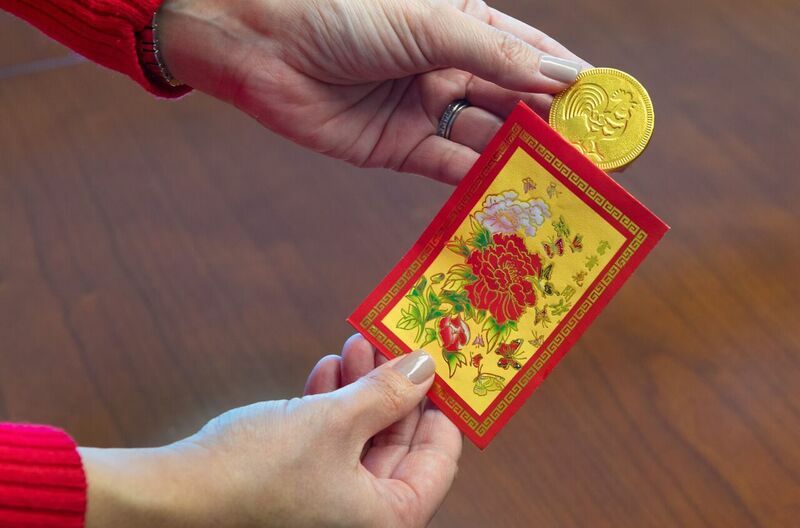 The modern day celebration of the Mid-Autumn Festival shares much of the same principles as Thanksgiving; that of family gathering and giving thanks. Ever since I was a child, the festival instilled in me a strong sense of family bonds and love. To this day, the clinking of plates and clattering of shuffling mahjong tiles stir up warm, resonant feelings of my Chinese family heritage. 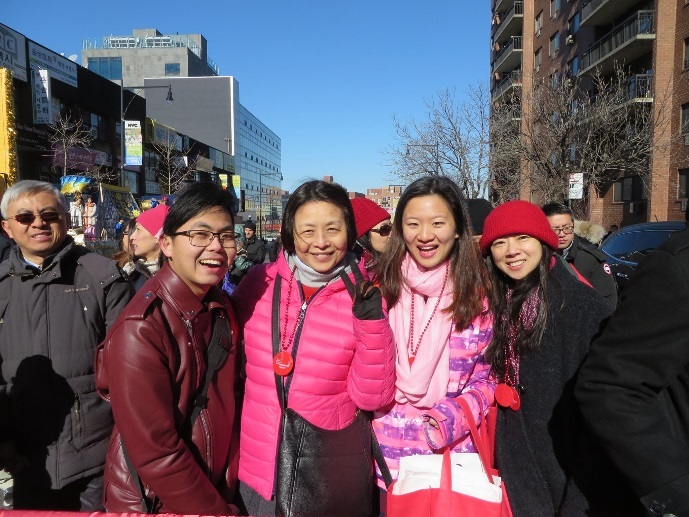 To me, the Mid-Autumn festival is more than just a time to eat and be merry – it’s a precious moment when everyone takes a step out of their normal routine to gather as a family and appreciate each other. To all who celebrate this holiday, I hope you enjoyed this year’s Mid-Autumn Festival!